Among other reputations, Fidel Castro had a reputation for lengthy speeches. Yes, he’s one of a small band of very long-winded speakers. So, when after some four years of conspicuous absence from the speaking podium, the late Fidel Castro gave a speech in August 2010, there was concern. It had been four years since his mystery intestinal illness forced Cuba’s former leader to give up power to his younger brother Raul. Long-Winded Speakers and Authoritarian Nature. There’s a Link. So this speech was a surprise to the assembled lawmakers in Cuba’s Parliament in Havana. Since it was short. Perhaps he no longer had the endurance required for long-winded speeches of several hours. Because those speeches certainly stretched the endurance and stamina of his audiences. Notably his audience in the parliament building included his brother Raul, the new Leader. Could it be that the short speech was another sign of the shift of power? 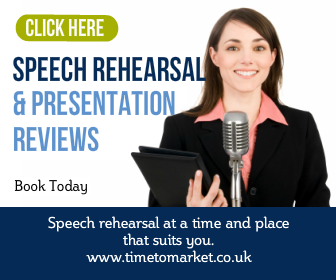 Either way, brief speeches are typically best. Your presentation length is all-important. 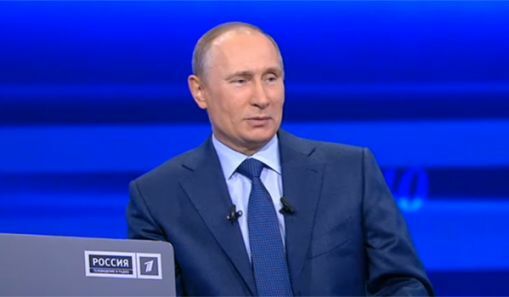 In contrast, President Putin doesn’t yet have a reputation for interminably lengthy speeches. He’s not yet joined the band of long-winded speakers. Unlike many of his predecessors of course he’s comparatively concise and brief. Yet his annual call-in television show went on for nearly five hours in April 2013…4 hours 47 minutes–85 questions answered. Quite an epic. But, this was not a marathon speech. Yes, it was an impressive question and answer session. One of the longest we’ve come across. There’s some relationship between totalitarianism and lengthy speeches. We’ve noticed that. So, it’s not one that necessarily stands up to full scientific investigation. President Putin is democratically elected, irregularities in the voting aside, and the length of his speeches are pretty standard in contrast to his non-elected predecessors. Perhaps his lengthy question and answer session reflects the democracy that underpins his position? Elsewhere in the world, we’ve looked at the a President Mugabe birthday speech, the public speaking of Fidel Castro and the long speech of the late Hugo Chavez. The rambling speeches of Colonel Gaddafi were equally notorious. 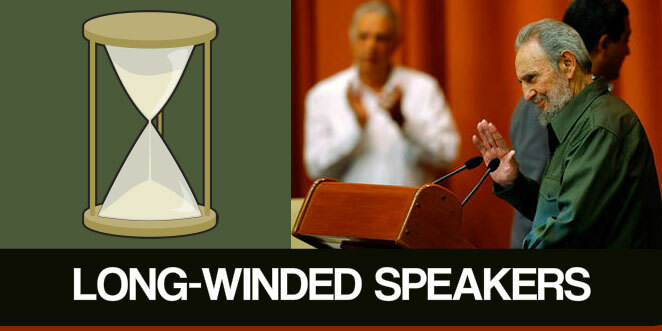 All have or had a propensity for long-winded speeches. And all have or had a whiff of authoritarianism. Megan Lane of the the BBC News magazine explored this very issue some years ago. Her observations noted that democratically elected leaders today don’t dare to give a lengthy speech…fearing their audience will get bored, restless or just disappear. In contrast, authoritarian leaders have no such fear. Their audiences won’t want to provide an excuse for the security team to punish them for yawning! Their disappearance might not be voluntary. Of course, we know that our observed assessment might not stand up to full scrutiny! But it sounds feasible. So, we have to feel a bit sorry for the tired old authoritarian leaders. Their speeches are a yawn. And their public speaking has lost its edge. Hence their audiences no longer worry with hiding their feelings. That’s the situation for Robert Mugabe. But for the last word on lengthy speeches we have the example of China to fall back on…no stranger to authoritarianism. Chinese state media reported last year that the mayor of Guangzhou has had enough of lengthy speeches–he took a fifty-eight-minute speech to say so. The Mayor, Wan Qingliang, told a local Party meeting that speeches should last no longer than one hour for key meetings, and half an hour for other meetings. Perhaps authoritarian speakers can change their public speaking habits after all…but it takes a unilateral decision, no debate and absolutely no dissent. Way to go. At least, every now and again, we do come across a short speech as an alternative. 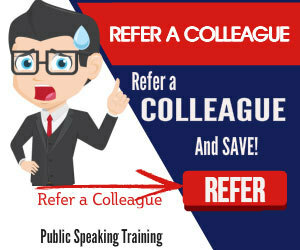 You can learn how not to be a long-winded speaker with a public speaking skills coaching session. We can coach you at your own offices or at one of more than 40 training centres in the UK. Please don’t hesitate to call us when you are ready.